Every spring, like clockwork, you set out to tackle your spring cleaning routine with a broom in one hand and an empty box in the other. Each room will be cleaned and scrubbed, and a fair amount of your belongings that rarely get used will instead be tossed out the door — or thrown into storage. While your trusty checklist may advise you on the rooms to be cleaned, it’s time to take it a step further and consider the fine details of your routine. 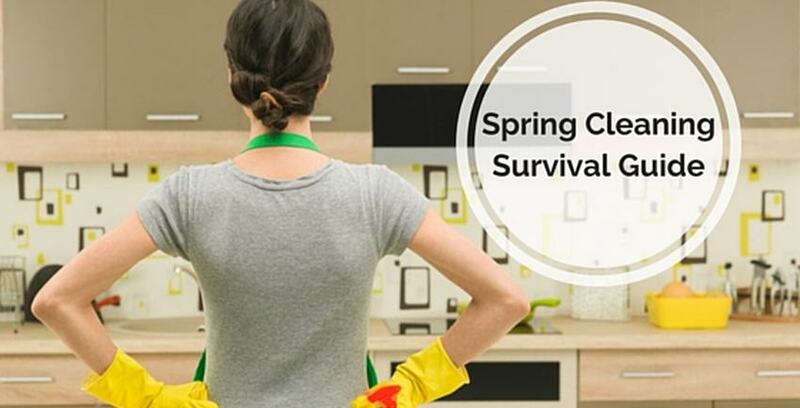 Don’t assume you can accomplish all of your spring cleaning in a day. That’s a lofty goal if you have a large home and a significant yard or porch — which, by the way, should also be on your list of places and areas to clean. Be sure to set aside an ample amount of time. This might be more than a weekend project, so be sure you’re able to devote the proper amount of time to handle it. If you do have a smaller home or a one-bedroom apartment, you can probably shrink that timeframe. A good tip for breaking down your plan is dedicating specific days toward certain rooms. If you can handle the kitchen and bathroom on Saturday, maybe you could move on to the living room and dining room on Sunday. Who doesn’t love a well-thought-out list? While you likely have a list of rooms to clean around your home, dig a little deeper and come up with a list of tasks for each room in your home. This will help you to not miss anything, whether it’s as small as tossing any duplicate baking pans or as large as scrubbing the inside of all of your cupboards. If you’re occasionally overwhelmed by large projects, but find motivation in checking items off of a list, not to worry. You can put as many items on your list as you choose, and listing all the minute details could help you feel more accomplished. You can’t properly take on a project if you don’t have the right tools! Before you even begin to clean, be sure you’re equipped with everything you need, from all-purpose cleaners and trash bags to mops and brooms. Take a look at your vacuum and ensure it’s in proper working order. There’s nothing worse than beginning your project and realizing you’ll need to take a trip to the store to gather the tools and cleaning supplies you need. When you discover you’re in need of extra space to store your items, Storage Direct can help. Our secure, self-storage facilities offer you the ideal place to store your items in one of our many unit sizes. Contact us today to find a location near you.